View of south wall of Farm House, under pole barn, looking north. After removing and storing the north wall, interior debris was removed through the remaining aperture. 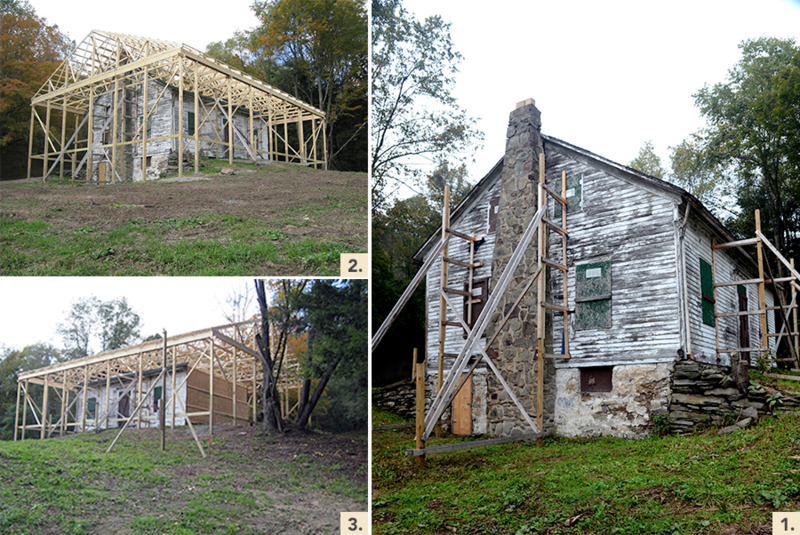 Deteriorated building material was carefully photographed and documented before, during and after removal. “A large quantity of sound architectural fabric was salvaged, inventoried, and stored for future study,” Yocum explained. “During the restoration phase much of this material will be reinstalled or will serve as patterns for architectural elements to be replaced.” Even the redbrick chimney in the northwest (kitchen) corner was dismantled, inventoried and stored. The second-floor north, east and west exterior walls and all second-floor windows were removed, inventoried and stored, as well. 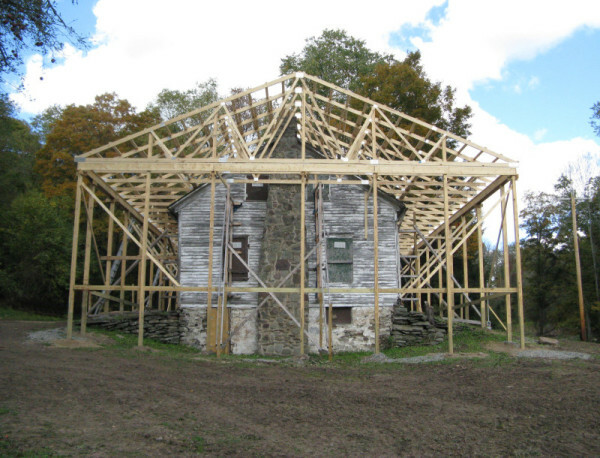 The final phase of the stabilization process involved construction of an elaborate, pole-barn superstructure to support the house.